Ideally located in Lacey, WA, the Holiday Inn Express Hotel & Suites Olympia-Lacey is 100% non-smoking and is convenient to the Olympia area and just five miles from the Washington State Capitol Campus. Families will enjoy staying at our Lacey hotel while they explore everything the Olympia area has to offer. If you love the outdoors, you can take a short trip to numerous parks in the Olympia area. History buffs can enjoy touring Washington's State Capitol Campus and area museums. The Olympia hotel is also near St. Martin's University and Evergreen State College, as well as JBLM. 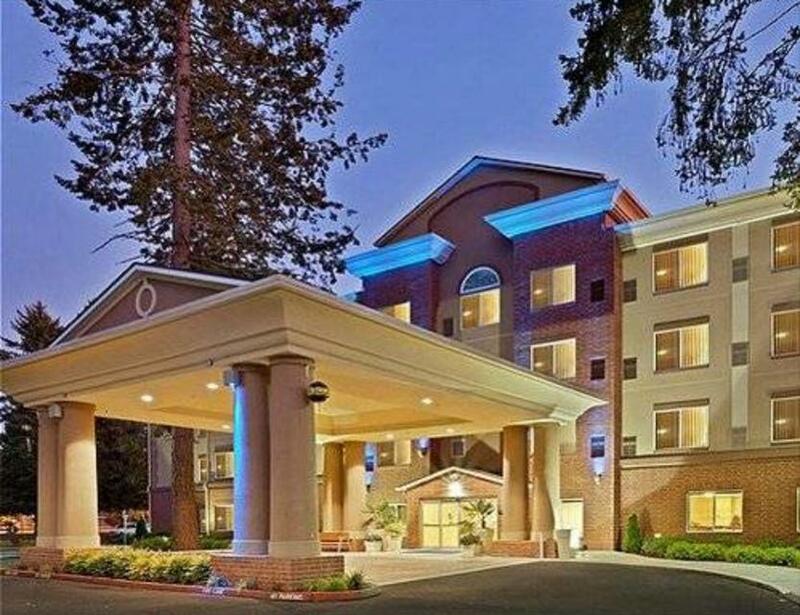 This hotel is perfect for business travelers, with convenient access to Intel, State Farm Insurance, Georgia-Pacific Corporation and Washington State government offices. During your stay, you can surf the web on free high-speed Internet access, enjoy a swim in our heated, indoor pool or work out in the fitness center. Every morning, you can start your day with the free Express Start hot breakfast bar with the signature cinnamon rolls and other hot items. Check out the great Olympia-Lacey hotel deals and book your stay.